I SAW THE LITE Abraham’s meandering, interminable biopic ranks as the least substantial ever on its legendary subject. Which is saying something, when you consider that one starred George Hamilton. At the screening I attended of the latest Hank Williams biopic, sounds I'd never heard in a movie theater continuously arose around the room. I've heard audiences laugh at films that weren't supposed to be funny. I've heard them shout at characters in horror films about to do the stupid thing that will get them killed. But I've never heard so much and such loud yawning. It was a chorus of boredom: first down front, then from the back, then directly in front of me, where a pair of sleepy ticket holders performed a dull-movie duet. It was like the DMV with Milk Duds. Speaking of duds: I Saw the Light achieves something I wouldn't have thought possible. It spends more than two hours chronicling the career of one of music history's most towering figures, a high school dropout from Alabama who couldn't read or write music yet went on to compose 35 top-10 records in roughly six years. And it manages to offer not one iota of insight into who Williams was or how he did what he did. Writer-director Marc Abraham (Flash of Genius) surely understood that anyone likely to attend this film can already list the country legend's greatest hits. Likewise, prospective viewers will know how Williams looked and sounded, that he died at 29, and that one of the most enduring relationships of his adult life was his love affair with alcohol, amphetamines and morphine. The filmmaker's obligation is to tell us something we don't know. He fails spectacularly. Instead, we get British actor Tom Hiddleston doing a passable impression and walking through a Wikipedia article of a screenplay that ticks off the boxes of Williams' biography — at least, the part that consists of the traditional show-biz rise and fall. You'd never know from this film that Williams learned to play the guitar as a boy from a black bluesman named Rufus "Tee Tot" Payne. Or that the back problems that plagued Williams throughout his life — intensifying his addiction to painkillers — were due in part to a rodeo fall. Or that the singer's mournful oeuvre may reflect his yearning for his father, who spent Hank's formative years in a Louisiana veterans' affairs medical center after contracting facial paralysis. Abraham fills the movie's running time with biopic shorthand and shameless, overused tropes of precisely the variety skewered so brilliantly in 2007's Walk Hard: The Dewey Cox Story. 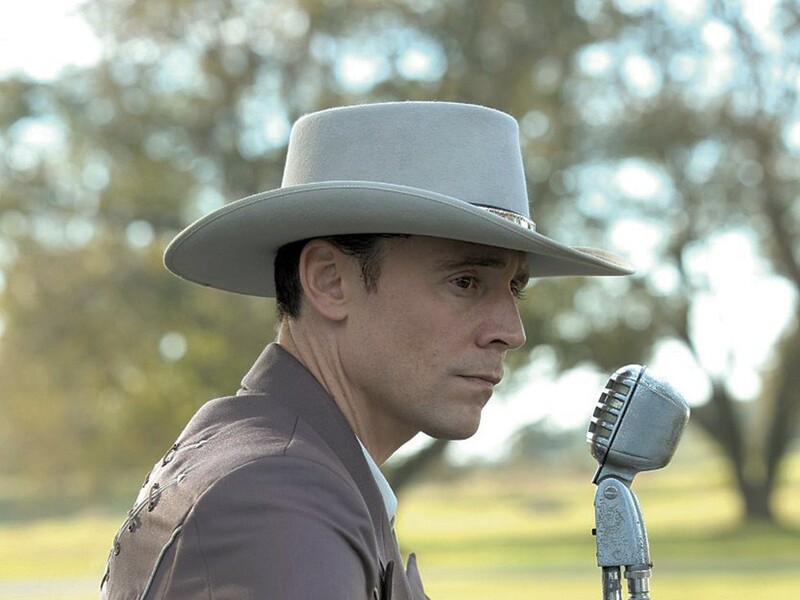 Williams marries the sweetheart of his youth (Elizabeth Olsen) and pursues his dream until he finally makes it to the Grand Ole Opry, only to have predictable things happen to both his marriage and career. Absent is any attempt to explore the artist's creative process, much less to demonstrate the significance of his accomplishment or how much his music meant to millions of poor, hardworking people. In this film, masterpieces simply appear, while more and more makeup is applied to make Hiddleston look increasingly cadaverous. The film was originally slated for an Oscar-qualifying November release. Then someone at Sony Pictures Classics watched it, I guess. Someone else who watched it is Williams' grandson, the singer Hank 3. Unimpressed by Hiddleston's singing, he made an intriguing observation. The actor who plays Williams "needs to be an American from the South who has eat [sic], lived and breathed these kinds of roles before," he told an interviewer, then suggested Matthew McConaughey as an actor with "the natural arrogance and fire" to do justice to the part. Williams III has a point. Inertly directed and snoozily scripted, I Saw the Light is a movie that isn't remotely "all right, all right, all right." I Saw the Light is not showing in any theaters in the area.